May 1997 issue of the American Magazine, Guitar. 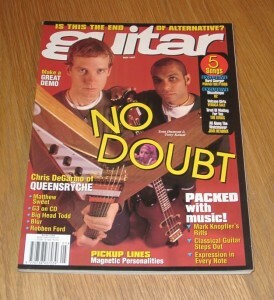 Featured in this issue are No Doubt, Queensryche, Mark Knopfler, classical guitar and many other articles and features. The magazine is still bagged and unopened, with a free poster from 1996!